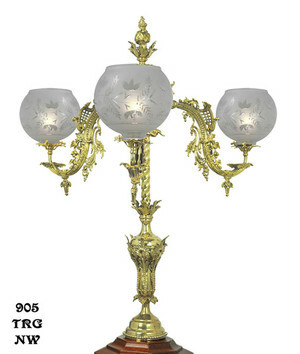 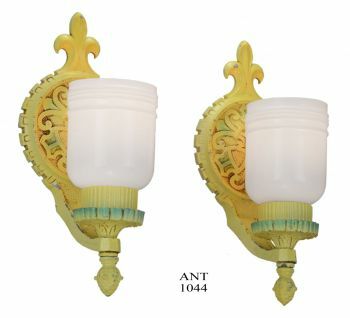 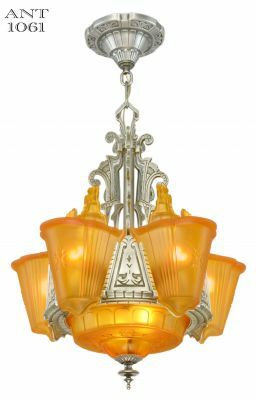 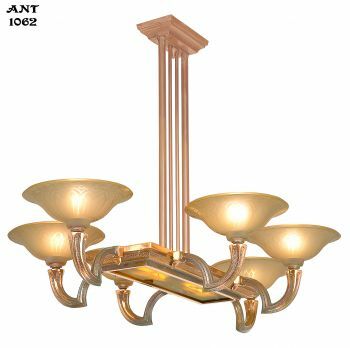 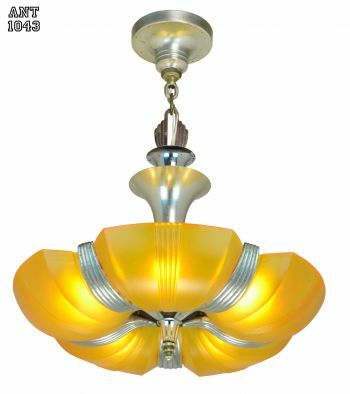 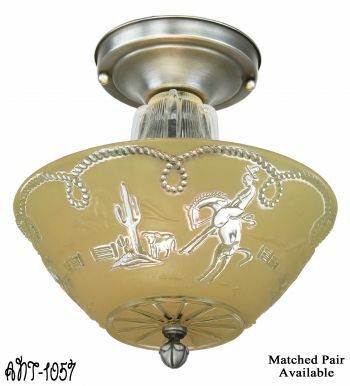 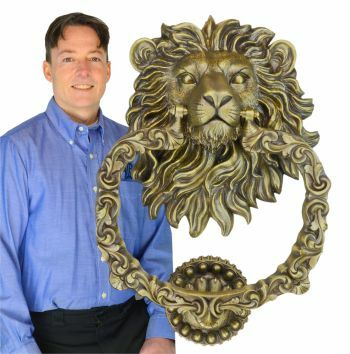 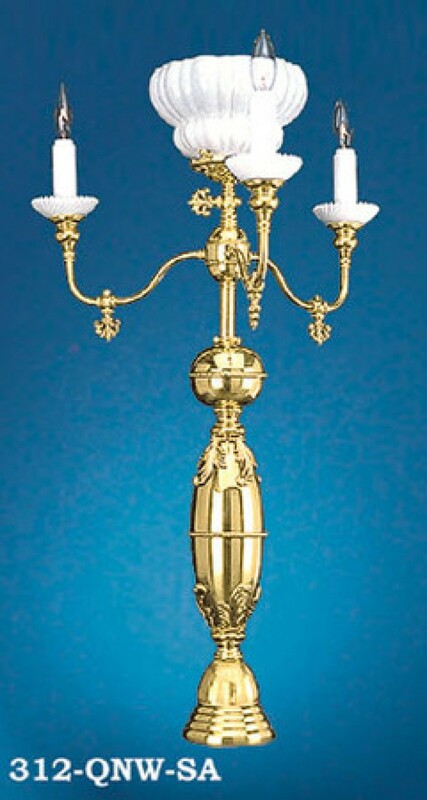 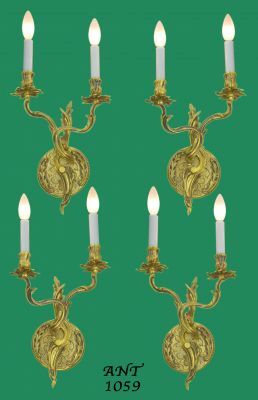 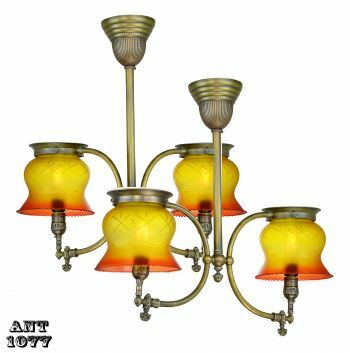 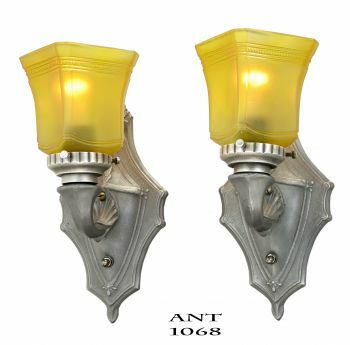 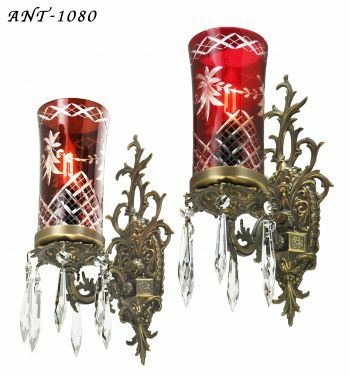 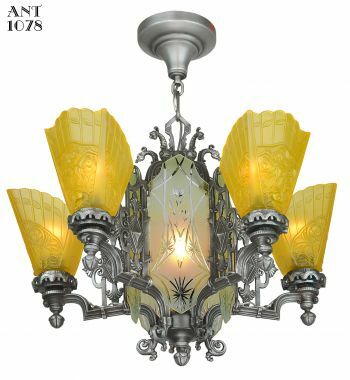 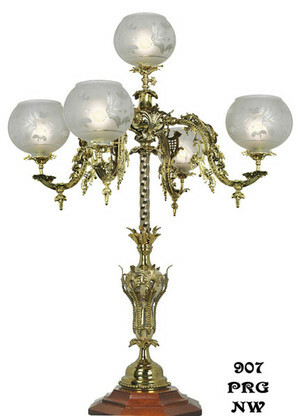 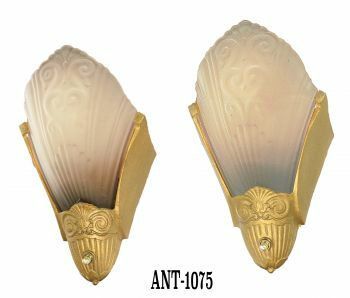 We offer a wide variety of reproduction gaslight antique reproduction chandeliers and reproduction gaslight sconces . 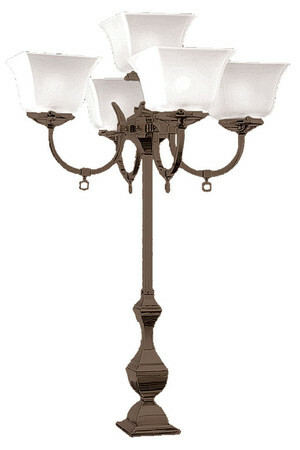 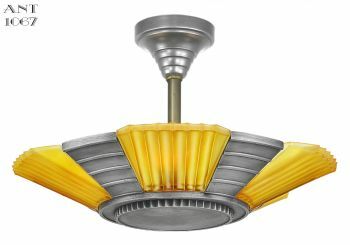 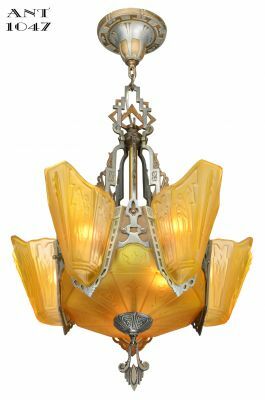 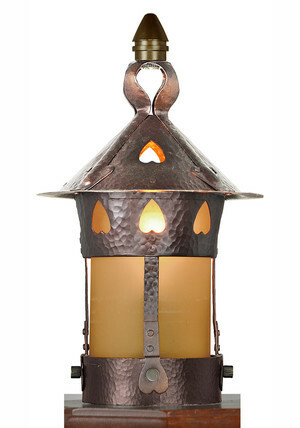 You'll recognize gaslight fixtures as the gaslight glass shade must always face up for the flame. 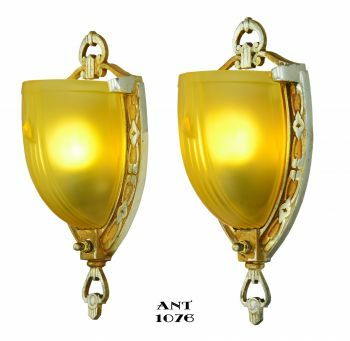 We still put the "gas key" on the gas arms of the reproduction lights . 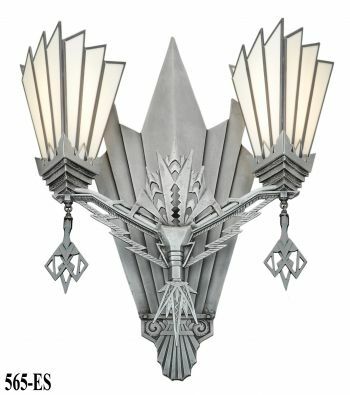 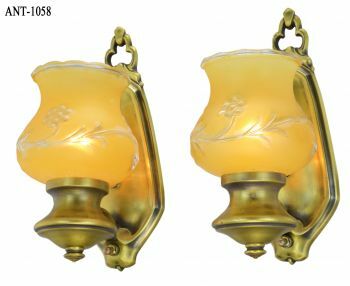 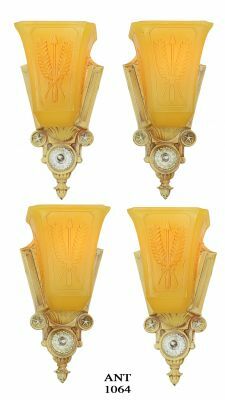 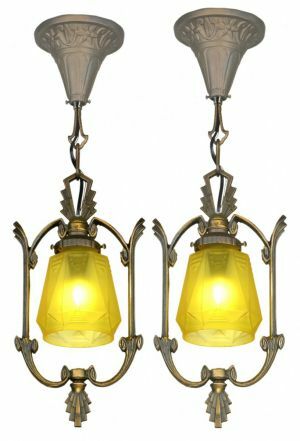 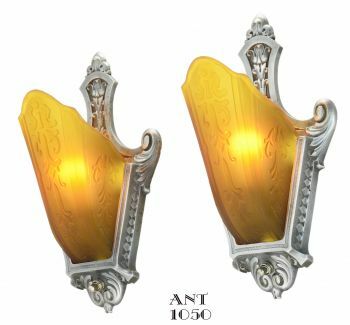 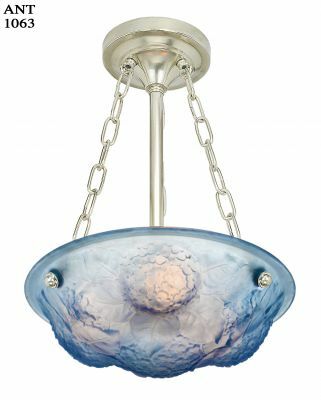 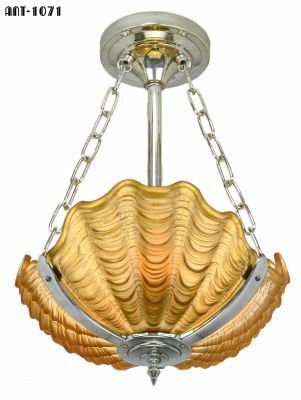 We have gaslight Mission lights, Rococo gaslights, Neo-Grecian, Crystal gaslight, Figural gaslight, and Victorian gaslight fixtures , which may also be seen under their separate design categories. 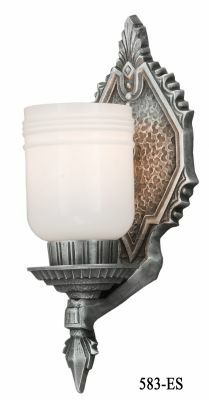 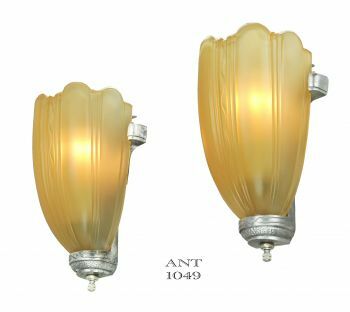 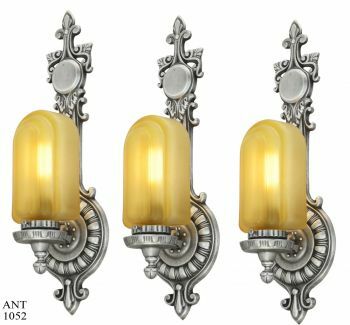 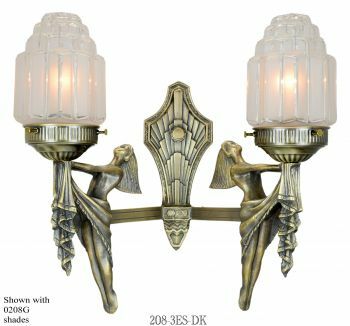 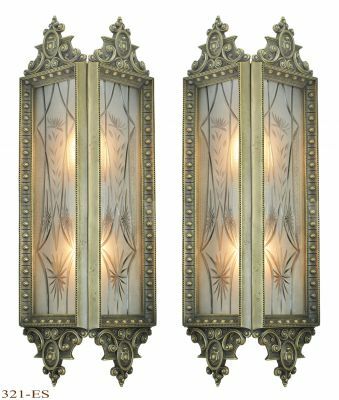 The mix of gaslight wall sconces, newel post gaslight, antique lamps, and chandeliers allows you to see how well the fixtures can work together. 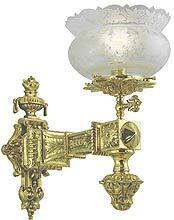 Early gas lights around 1840 were in the familiar "candle" shape, with a matching porcelain dripsaver. 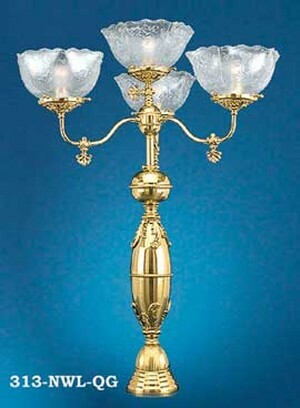 Next came the 2 5/8" fitter size narrow gas flame, then later fixtures offered a wider flame & used a 4" fitter glass shade. 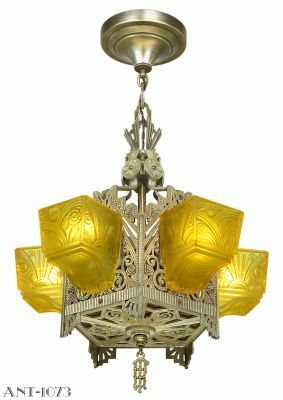 Use matching or complementary shades to give an authentic, original look to your suite of lights.